Each morning of your stay a fresh daily homemade breakfast arrives from our kitchen in tray service rolled to your room door. Occasionally a continental breakfast freshly made will be served to the room. Every morning 6 locations await where you can enjoy your breakfast. 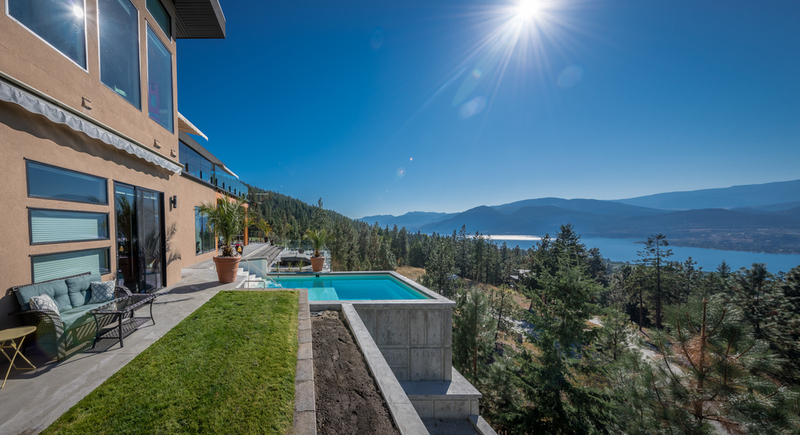 Imagine 6 locations... some in the shade, some in the sun... but all with panoramic lake views. This exquisite master room, in size 300 square feet, features a King bed. 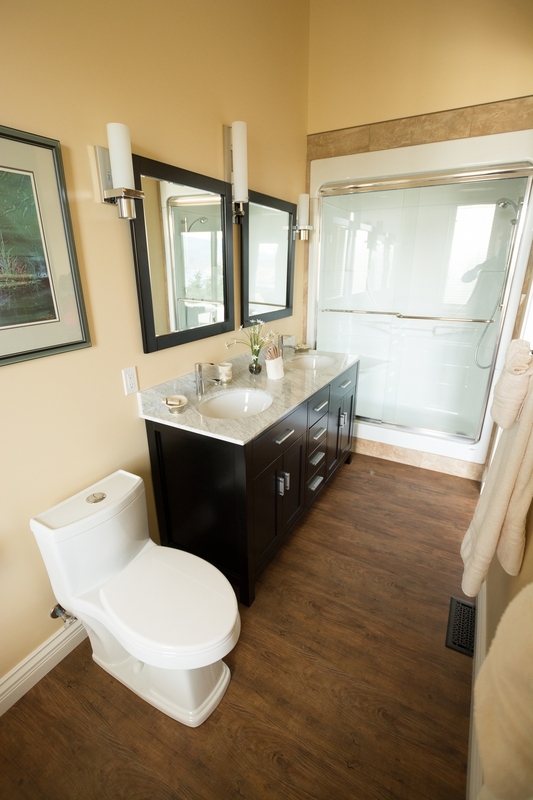 The ensuite bathroom has both a large soaker tub and a two person jetted Maax shower with built-in seat, plus a marble two sink & two mirror vanity. 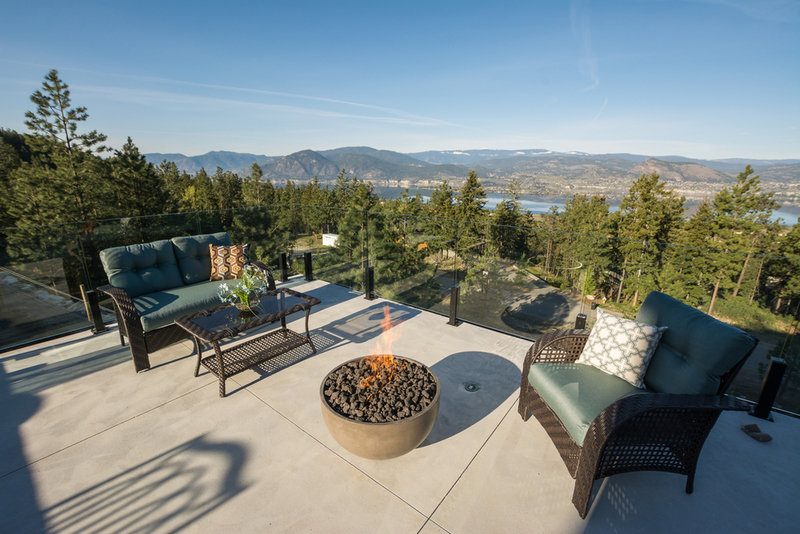 The “red leather” seating area within the room and the adjoining outdoor patio overlook the chromatic-lit pool of Castlerock, the Village of Naramata, estate vineyards, Okanagan Lake, and across the lake the city lights of Summerland and Giant’s Head Mountain. This deluxe room, in size 260 square feet, features a Queen bed and bistro style table & chairs seating area. The ensuite bathroom has both a large soaker tub and a two person jetted Maax shower w/built-in seat, plus a marble two sink two mirror vanity. 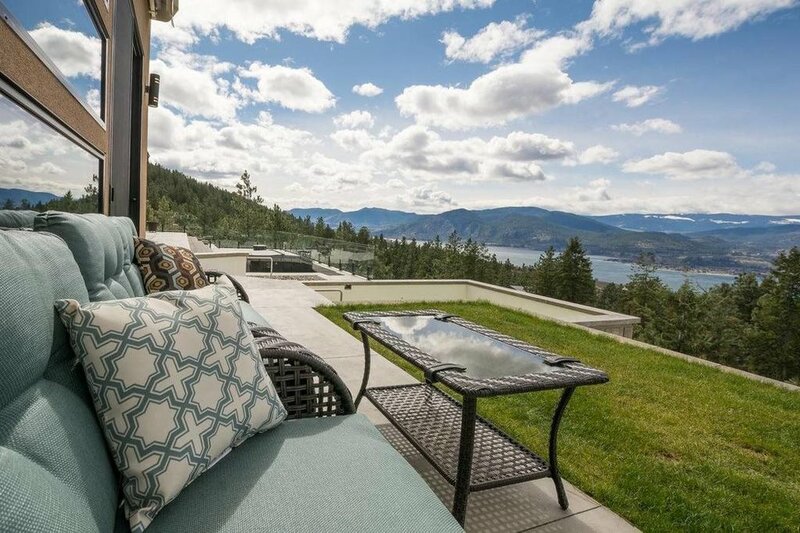 The outdoor patio adjoining the room overlooks the Village of Naramata, estate vineyards Okanagan Lake, and beyond the City Light’s of Summerland and Giant’s Head Mountain. Our unique CastleRock Bed & Breakfast provides a wealth of luxurious amenities to ensure that our guests enjoy the most unique experience possible. 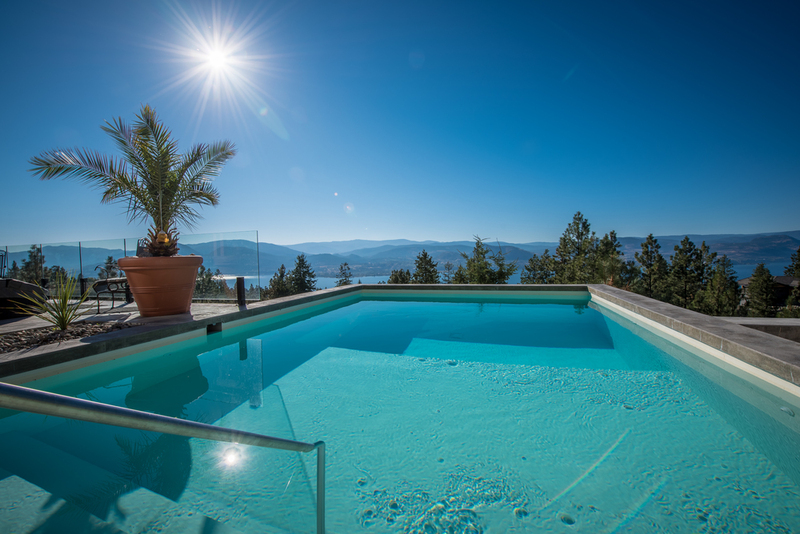 A chromatically- lit outdoor heated pool, an infinity edge Jacuzzi and outdoor fire ring seating area with panoramic views of the lake and vineyards, making our B&B stand out among other Naramata Accommodations. Discover for yourself what makes each individual stay at CastleRock truly one-of-a-kind experience. surrounded with Award-winning Wineries of the Naramata Bench. Penticton City centre is less than 15 min drive away.